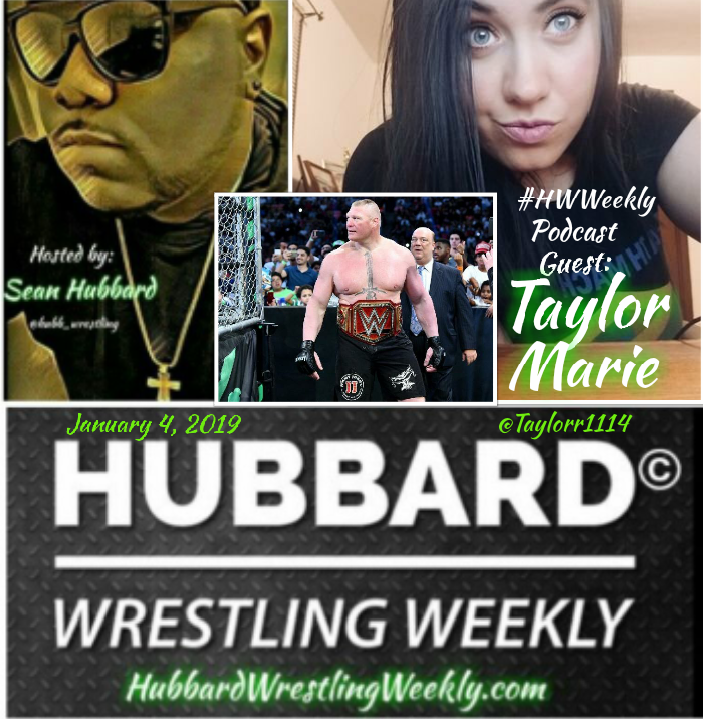 The #HubbardWrestlingWeekly Podcast is back and ready to give you the very best in professional wrestling in 2019, and in this first show of 2019 myself and special guest Taylor Marie of the Taylor Talks YouTube channel look at the career of WWE Universal Champion Brock Lesnar. Me and Taylor definitely do NOT agree about Brock’s importance to the RAW Brand and we have a lot of fun debating back and forth on arguable the most famous Paul Heyman guy ever! So click, listen, and enjoy as host Sean Hubbard and guest Taylor Marie discuss the career of the most dominant PART TIME champion in WWE history.